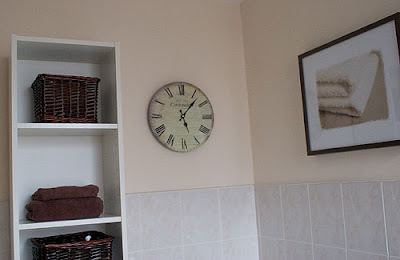 a thousand words: New bathroom clock - yea or nay? New bathroom clock - yea or nay? I bought this clock off eBay but once it arrived ... well, I'm not so sure I like it. 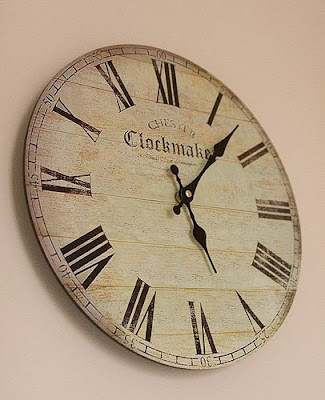 For one thing it has a slight greenish tinge to the colouring; for another it's not an actual distressed wood clock face, it's a photograph of a distressed wood clock face with metal functioning hands stuck on. Not sure I like the fakeness of it. What do you think?